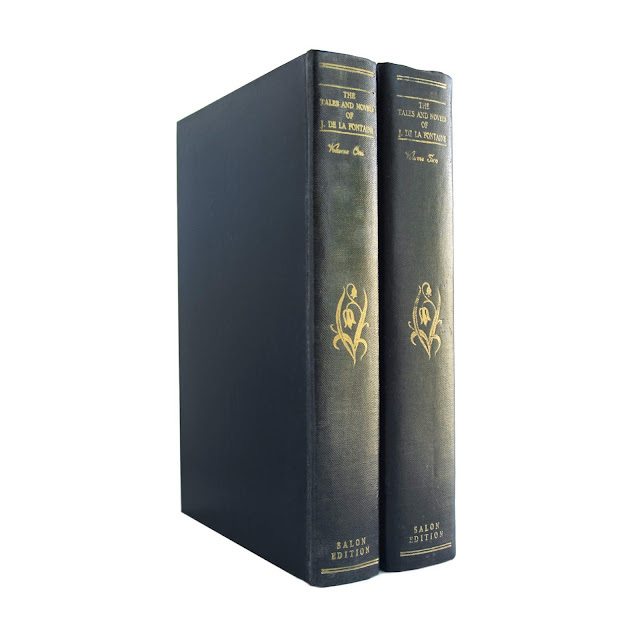 This vintage hardcover two-volume set is bound in black cloth boards, with gilt lettering on the front and spine. 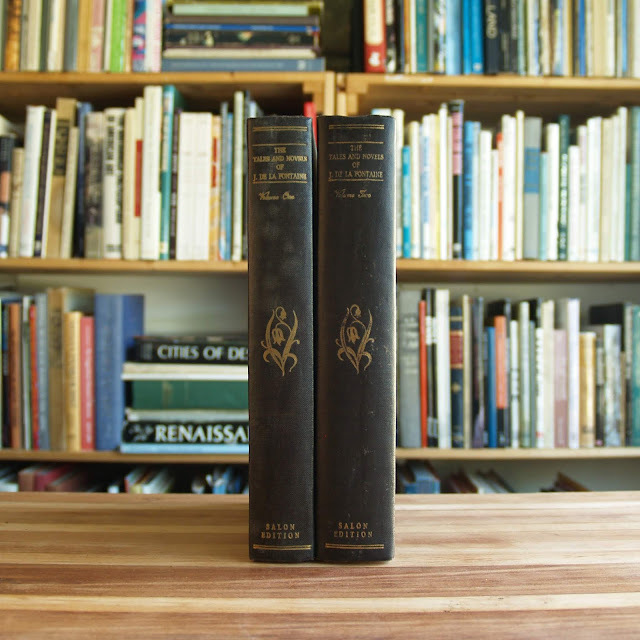 Spines have gilt lily-of-the-valley emblems, and the slogan "Salon Edition" printed at the bottom. 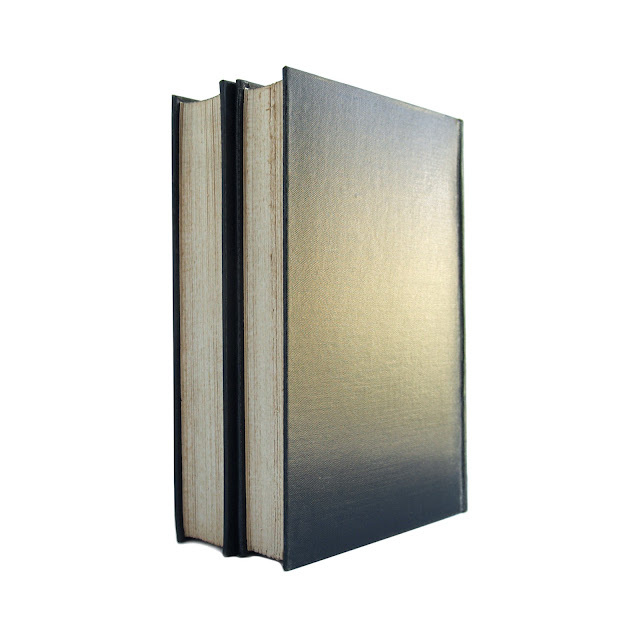 Soil and some spotting to covers; endpapers slightly browned; light edgewear. Bindings tight. 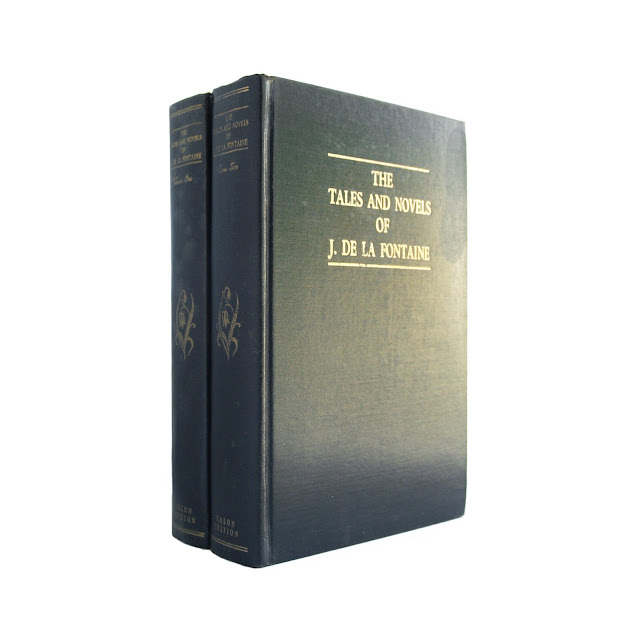 These privately printed translations of de la Fontaine's work include frontispiece portraits of the French fabulist. Each volume is approx. 250 pages, 6"x9".